The adsorption of butene-1 on Beta zeolite (H form) is studied via flow-adsorption calorimetry. 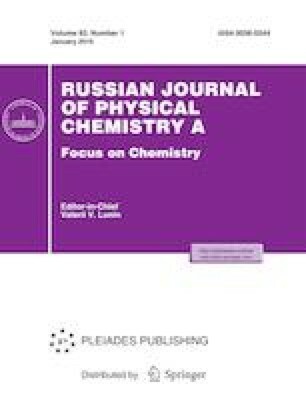 Upon feeding a mixture of 2 vol % of butene-1 in nitrogen over the pre-calcined zeolite (500°C) at room temperature, an exothermic effect is observed that is associated with the adsorption and transformations of butene, particularly its isomerization to cis- and trans-butenes-2. The thermal desorption of adsorbed butene‑1 results in formation of hydrocarbon products showing that oligomerization proceeds during adsorption. It is found that zeolite pretreated with moist nitrogen adsorbs water up to 9.2 wt %. A weak exothermic effect is observed when butene-1 is adsorbed on this rehydrated zeolite, due apparently to the physical adsorption of butene-1. When the rehydrated zeolite is held for long periods of time in a stream of a butene/nitrogen mixture, cis-butene-2 is detected at the reactor outlet, indicating the gradual replacement of water with butene-1 on the active sites of zeolite. This work was performed as part of a State Program of TIPS, Russian Academy of Sciences. It was supported by the Federal Agency for Scientific Organizations (Russia).